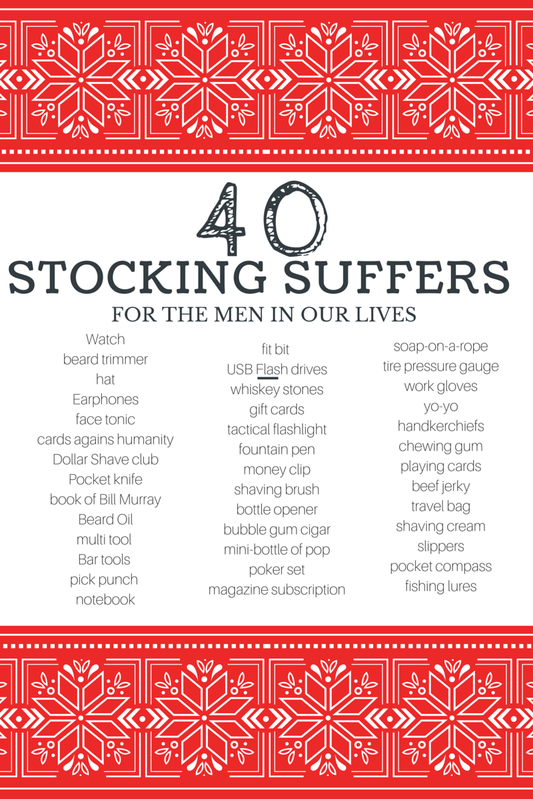 Today we want to share with you 40 stocking stuffers for men because let’s face it, they are the hardest to shop for! We shared have a ton of great ideas for every kind of kid but, we never discussed what to get for the men in our lives. tell me that I am not the only one who is stumped when it comes to stocking stuffer ideas for men. Or am I the only one? I am sure my husband would share with you that over the years he has been less than impressed with the “treats” Santa has left in his stocking Christmas morning. Most years the Christmas stockings are the last thing I get around to buying because I’m not really sure what to get! I want items that not only will be used but also appreciated. No sense buying stuff for the sake of buying stuff right? This holiday I have complied a list of stocking stuffers that I am sure to bring a smile to everyone! What would you add to this list of Stocking Stuffers for Men that didn’t make my list? What’s your “must include” for the men in your life? I would love it if you shared what you add to your stockings stuffers for men in the comments below. « Santa worthy Christmas cookies! Ooo, good ideas! I only have 2 things for my hubby’s stocking so far, so this is really helpful! I’ll have to tell my mom about all of the things on here. So she can get some of it for my dad. I love the idea of the fitbit in their stocking! What a great gift idea. Well that certainly works for me, lol. Men are so difficult to shop for, they want all the expensive stuff, like the PS4! Ugh!